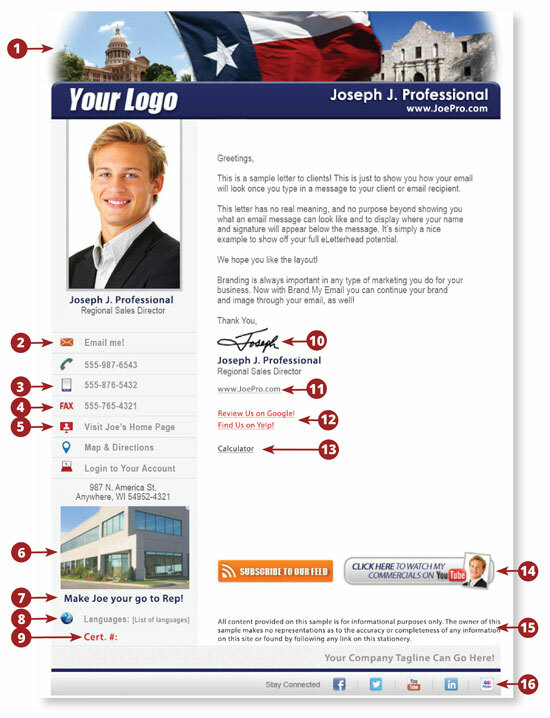 Stand Out & Be Interactive With Your Website, In Your Email. 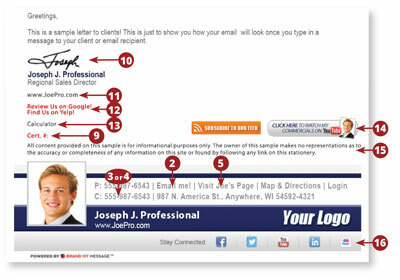 Update your Outlook email with our beautifully crafted email eSignature. Loaded with photos, interactive links, your company branding, and even your signature we can help make it easy for clients to stay connected! BANNER. Your logo can be the first thing your customers see. Customizing options are available to optimize your brands impact. PHOTO. 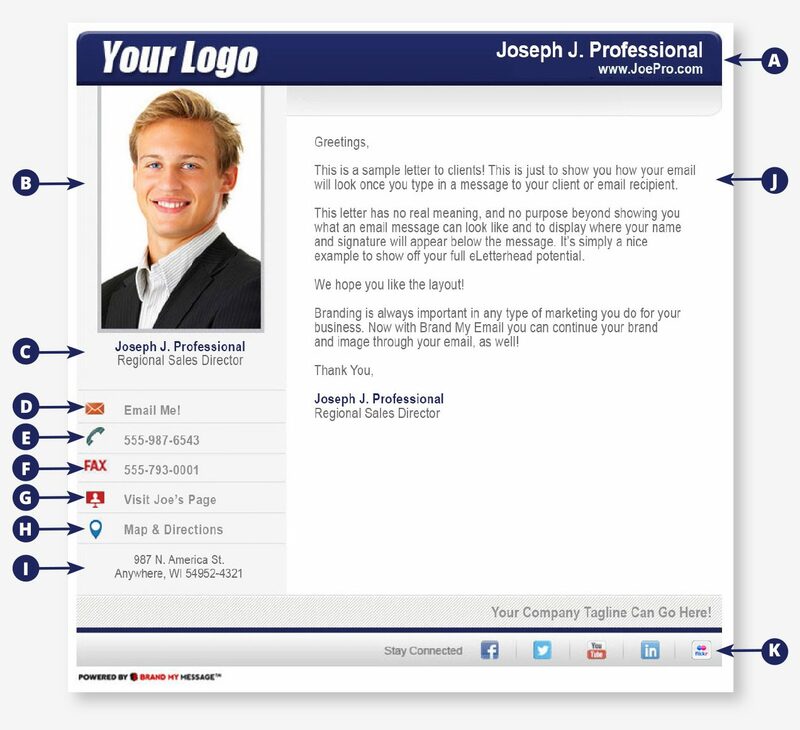 Your photo or a team member’s photo is displayed in every email you send. EMAIL LINK. A quick way to reply, we’ve added a handy link for an easy response. PHONE NUMBER. 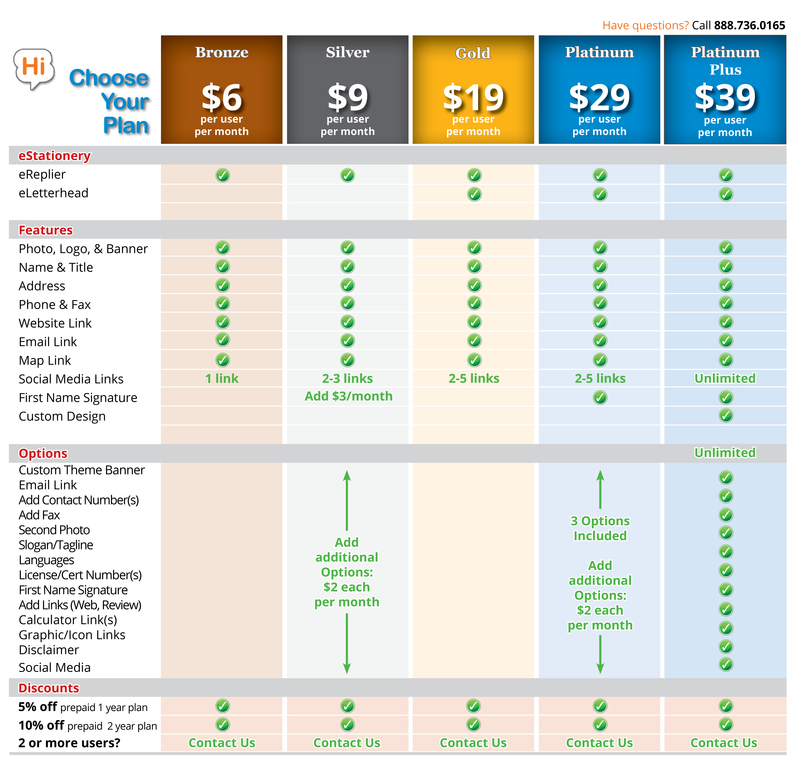 Your main phone number will be featured on your eStationery clients to reach you. HOMEPAGE LINK. Your company website will be linked so customers can see your company information with ease. ADDRESS. Let your clients know where you are located by listing your address. EMAIL BODY. Your email message is typed in this area. SOCIAL MEDIA BAR. Icon links to social media sites used with your marketing. 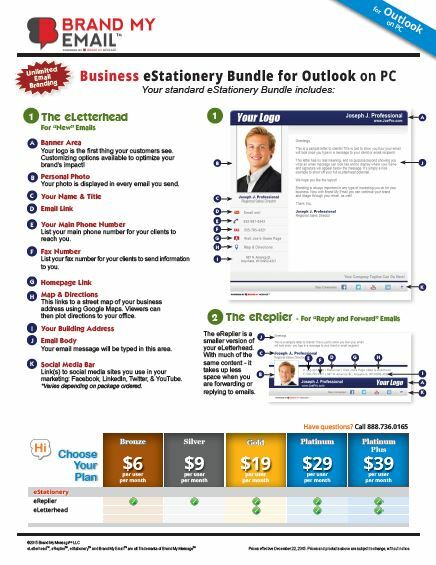 It’s a great way to stay connected with your customers. eReplier is a smaller signature and takes up less space. It is typically used when replying or forwarding emails. Click image to start download! 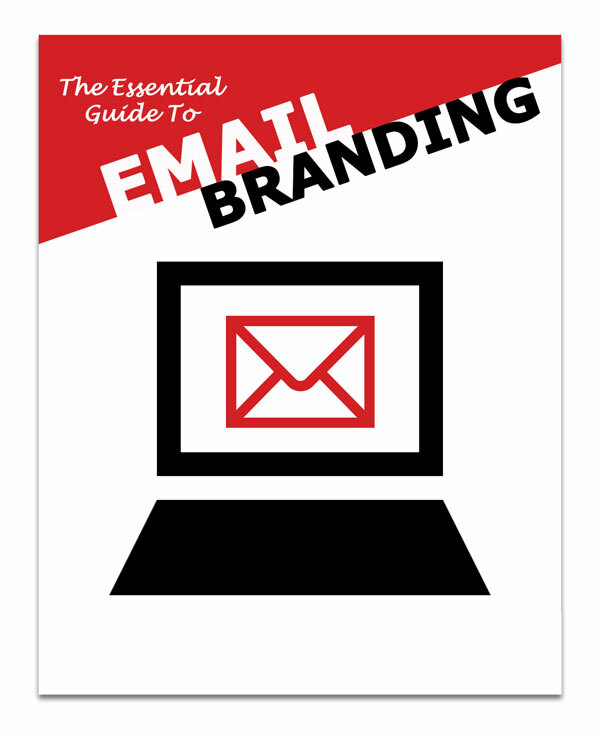 Learn more about email branding!